Toby doesn’t like heights. That’s why he always carries a parachute with him. His parachute makes him feel safe when he has to climb down from his bunk bed or when he’s playing on the swings. But one day, Toby’s cat gets stuck in a tree, and it’s up to Toby to rescue him. With the help of his parachute, Toby reaches his cat and lowers him safely to the ground. But now Toby is stuck in the tree, unless he can conquer his fears. . . . This compelling book, perfectly complemented by Matt Ottley’s expressive artwork, lends a sympathetic ear to children’s fears while simultaneously assuring readers that they can overcome them. For more on this book, see Matt Ottley’s Five Questions interview and his “Books in the Big World” post on Eerdlings. Samira likes school, especially when she gets to sit next to her best friend, Frida. But when they learn about the skeletal system in science class, Samira suddenly begins to imagine everyone in school as a walking skeleton. 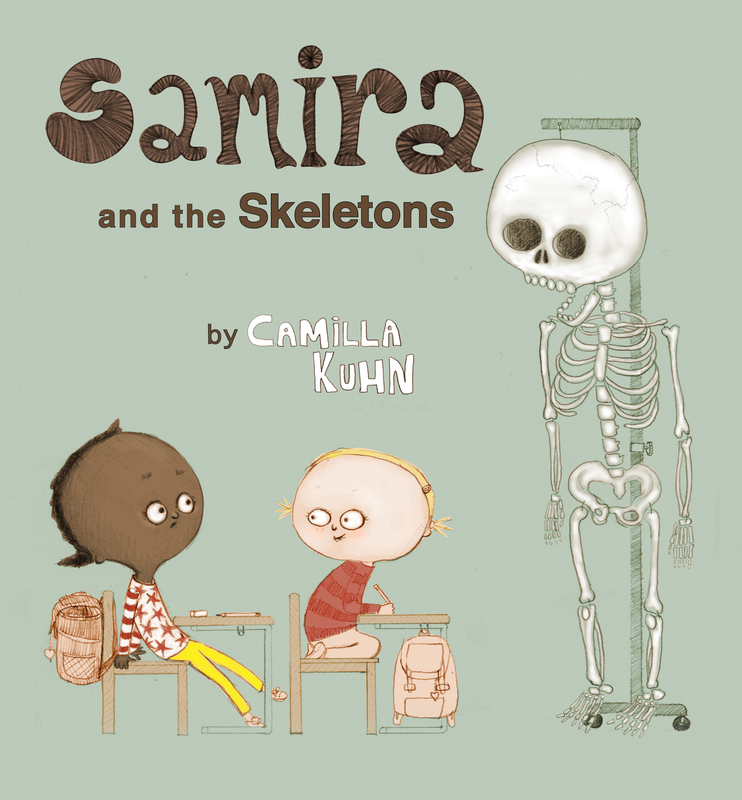 Soon she starts avoiding her fellow classmates, even Frida, but Samira still can’t escape her own skeleton. With some clever help from her mother, though, Samira realizes that maybe having a body full of bones isn’t necessarily a bad thing. For more on the book, see Camilla Kuhn’s Five Questions interview and also her “From Brain to Book” post on Eerdlings. In this cheerful story, a young girl is determined to draw the perfect picture. But staying in the lines is hard to do! When she makes a mistake, she considers crumpling up the drawing and starting over — but instead she decides to use the scribble to create something new. Soon her imagination takes her on a wild adventure as she fills her picture with wild horses, daring pilots, delicious candy, and flying pirate ships. 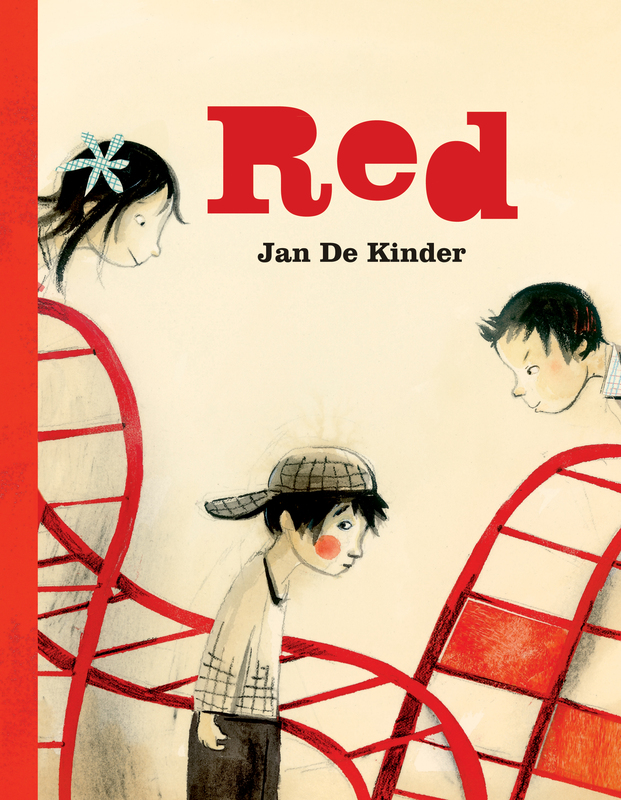 Read more about Red, “a different kind of bully book,” here on Eerdlings. Fore more great back-to-school books, see our entire featured collection.